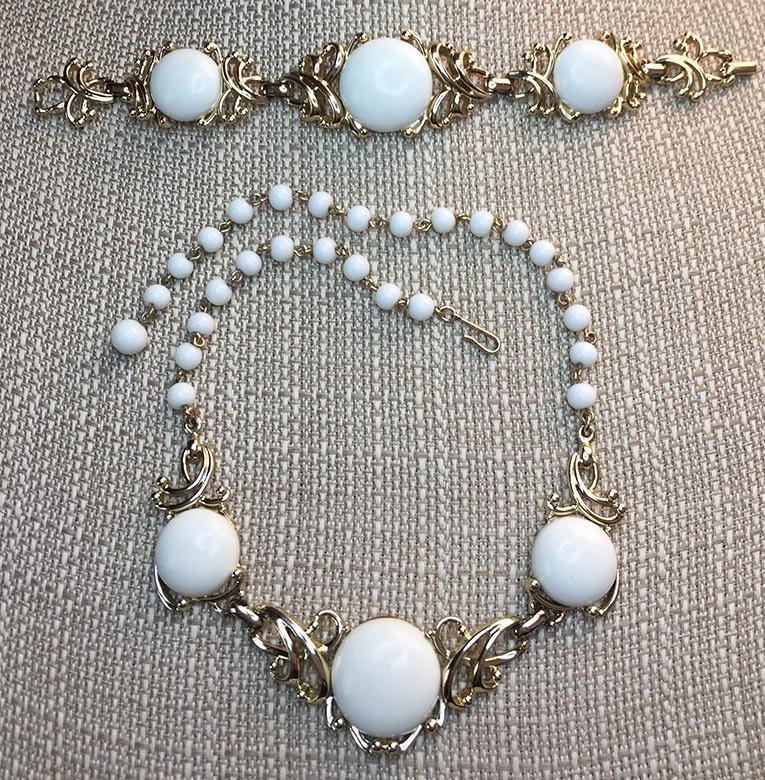 NECKLACE/BRACELET SET - EMMONS. 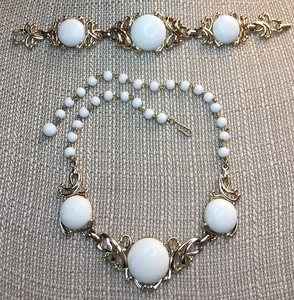 PRETTY GOLDTONE WITH WHITE CAB INSETS AND WHITE BEADED CHAIN ON THE NECKLACE. NECKLACE IS ADJUSTABLE UP TO 17" LONG, 1" WIDE IN THE CENTER. BRACELET IS 7 1/4" LONG, 1" WIDE. VERY GOOD CONDITION. BRACELET IS MARKED, NECKLACE IS NOT.